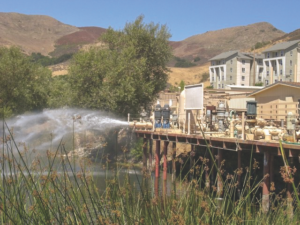 For nearly 30 years, the Irrigation Training and Research Center at California Polytechnic State University in San Luis Obispo (Cal Poly) has been supporting the university’s thriving BioResource and Agricultural Engineering (BRAE) department. While many universities have downsized or eliminated their ag engineering programs, Cal Poly’s BRAE department has seen its enrollment triple in the last 10 years. The Irrigation Training and Research Center also supports established irrigation management professionals with 3-day educational workshops. 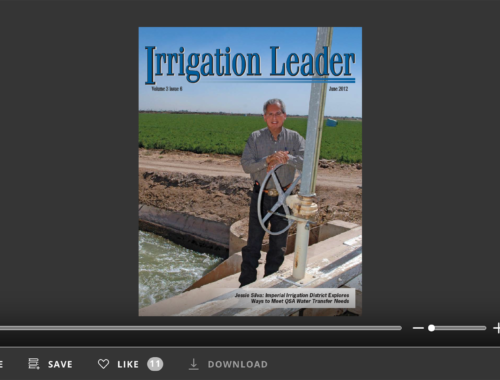 Irrigation Leader writer Parker Kenyon spoke with the director of the Irrigation Training and Research Center, Stuart Styles, about the beginnings of the center, its mission, and the classes it offers both to university students and to irrigation management professionals. Parker Kenyon: Please tell us about your professional and educational background. Stuart Styles: I am the director of the Irrigation Training and Research Center at California Polytechnic State University in San Luis Obispo. The center was founded in 1989, so it is coming up on its 30th anniversary. I have my doctorate from the University of California, Davis, and I have a master of business administration and an undergraduate degree from Cal Poly. I worked in the industry for 7 years before coming to Cal Poly about 25 years ago to teach and to work with the research center to develop new contracts and technical projects throughout the western United States. Parker Kenyon: What were the motivations behind starting the Irrigation Training and Research Center? 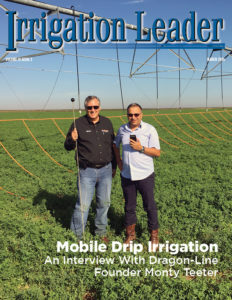 Stuart Styles: We created the center in 1989 as a location to train university students who were taking irrigation-related classes as well as professionals from the irrigation industry, including manufacturers, dealers, and irrigation districts. One of our fundamental objectives was to support the teaching program at Cal Poly. The center was created to help fund and maintain a strong agricultural-engineering program with a water resources emphasis. We are housed under the BRAE major, and it is in our charter to support that program while also doing these great things for the irrigation world. One challenge is that the BRAE program’s hands-on classes, which offer students experience with real-world technologies, have become expensive to maintain. Parker Kenyon: What are the educational programs you offer, and how do they relate to Cal Poly’s BRAE program? Stuart Styles: The educational program has two aspects. First, we teach 13 unique irrigation courses for the university. Those courses are primarily suited for engineers, but we also do classes for nonengineers. One of our introductory courses on irrigation management skills attracts over 100 students per quarter. Second, we conduct over 60 workshops per year for irrigation management professionals. Around 1,000 people attend those workshops. These workshops deal with the full spectrum of irrigation and drainage projects, including drip-irrigation design, irrigation management, pump design, and pump evaluation. 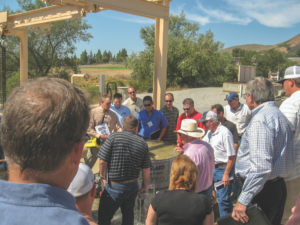 We also do workshops on irrigation project modernization and cover topics like building reservoirs, regulating structures, and flow measurement facilities for full-blown water projects. Parker Kenyon: Would you say that your center draws a significant number of students to Cal Poly, San Luis Obispo? Stuart Styles: The short answer is yes. The setup, creation, and operation of the center have really helped support our agricultural-engineering program. We have around three times as many students in our program now than we did 10 years ago. That is both because we have a strong program and because California just experienced a 5-year drought, increasing awareness of the need for water management. The opportunities in water resources engineering have never been better. There is a large demand for students coming out of our program, and this is at a time when a lot of the agricultural-engineering programs around the country are folding and being absorbed into other programs like civil engineering. Parker Kenyon: What states do the students in your program come from? Stuart Styles: The majority of our students are from California, but we are starting to see more coming in from other regions. We have a fair number of students from Idaho and Minnesota, and I actually have a student from Virginia. It is rare for us to get someone from the East Coast, but he found information about our center on the internet and is now one of our top students. Parker Kenyon: Please tell us about the courses that you teach at the center. Stuart Styles: I teach three university-based classes and handle around half of our 60 professional workshops. As director, I have split responsibilities: I teach one for one quarter of the year and then I serve as the director for the other three-quarters of the year. One course I teach is Principles of Irrigation, which is a sophomore-level class. The course has a lecture-lab format, meaning it includes both a 3-hour lecture and a 3-hour lab during which we actually go through exercises in the field on all the material we covered in the book. Labs for irrigation courses are expensive: We go through a lot of disposable lab materials, and we need to keep equipment operational and running. It is a challenge, but it allows us to give students a big-picture approach to the different on-farm irrigation systems and the management required by each one. We do modules on drip irrigation, sprinkler irrigation, surface irrigation, and even furrow and border strips, even though those are used less and less out here in California. The students are definitely interested in sprinkler and drip irrigation. For this class, we set up a hybrid format in which students do an online module that lasts about 10 hours and then are tested on the content in class. Parker Kenyon: So this course covers the fundamentals of irrigation. 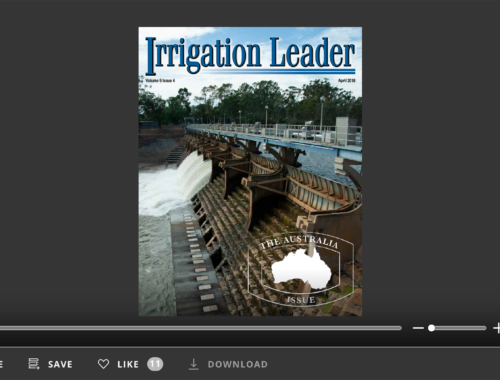 Stuart Styles: Yes, this is the course that engineering students take to introduce them to the irrigation world. We also have a number of classes on more specialized topics. The second class I teach is a junior-level course on hydraulics. It is based on a university-level fluid mechanics course. We cover the material that students need to know for irrigation, but we also cover the material that will be on the professional engineering exam that they will take after they graduate. We give them the fundamentals on how to do simple projects like lateral irrigation design and mainline design, but we also cover the things that will show up on certification exams, like specific-weight calculations and buoyancy calculations. The third course I teach is a senior-level structural design class that is focused on concrete design, specializing in structures that are used for waterways, like cross-regulating structures, flumes, and small retaining walls. We have found that a lot of our alumni who go on to work for water districts end up doing concrete design as part of their job. The university wanted to give our students a solid, practical background in concrete design as well as a theoretical understanding of the topic, and I have a lot of experience working with water districts in concrete design and installation. Parker Kenyon: What percentage of your students go on to graduate school? Stuart Styles: The majority of our students get hired right out of school with an undergraduate degree. Around 15 percent of our students go on to do graduate work and eventually get at least one advanced degree. I would say that less than 3 percent of our students go on to get a doctorate. 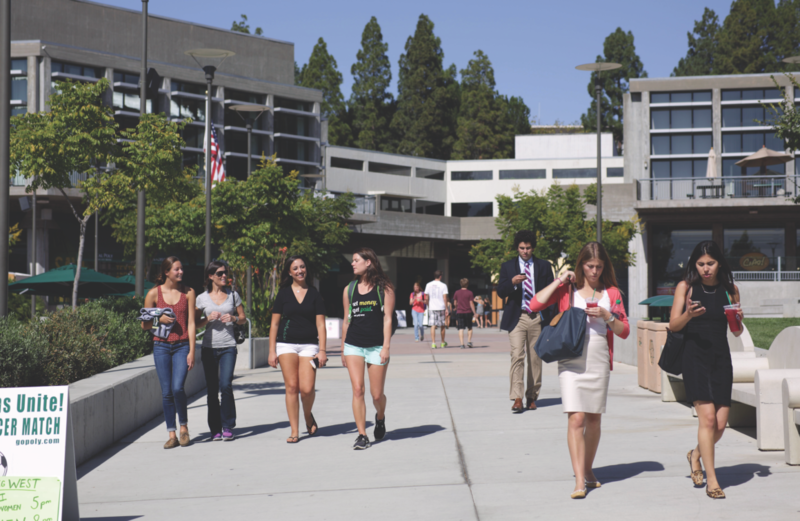 Cal Poly, San Luis Obispo only offers degrees up to the master’s level. Parker Kenyon: How are the job prospects for your students who forgo grad school? Stuart Styles: The engineering major that we support, BRAE, is one of Cal Poly’s top 10 for salaries. Its graduates rank right up there with mechanical, electrical, and architectural engineers. Not only do our students get high salaries, they are also in high demand. Many receive three or four offers when they graduate. Employers come to the university to attend job fairs for engineering students. I require students in all three of my classes to turn in a one-page résumé, and with their permission, I post their résumés on our webpage. It is a great way to give potential employers access to our students. 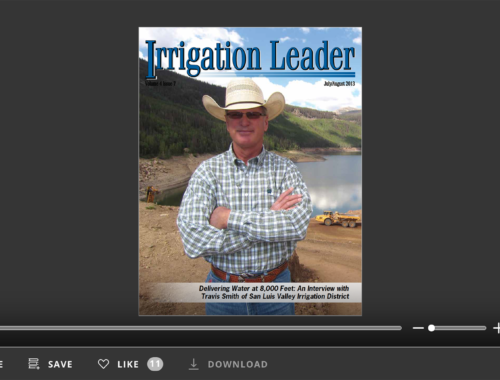 Parker Kenyon: Would you please tell our readers about the training programs that you are doing with water districts at the Irrigation Training and Research Center? Stuart Styles: We have a program we call the Irrigation District School of Irrigation. We focus primarily on flow measurement, canal operations, pump design, and pump management. Each session draws 35 or 40 people and typically last's 3 days. We typically hold the courses during the winter and spring months. We get participants from all over the western United States, including New Mexico, Nevada, Oregon, and Washington. Parker Kenyon: Would you please tell our readers about your most popular course? Stuart Styles: The most popular course that I am involved with is a 3-day workshop on flow measurement. On the first day, we focus on flow measurement basics—units and equations—and we target pipeline applications. We go over all the equipment that is available for pipelines, both new technologies and historical devices. We spend most of our time talking about the new tools that are available for pipeline management, like magnetic meters. About 20 years ago, we predicted that those were going to take over the industry; their growth was slow at first, but in the last 5 years, they have really taken off. Water districts have been buying these meters in batches of 50–100 units at a time. There is a big need out there for information on how to set them up and accurately use them. On the second day, we switch over to talking about open-channel measurements. Again, we start with the basics—flumes, weirs, and other established technologies—and then get into some of the latest technologies. The latest one we have been doing research on and sharing our experiences with is what is called a noncontact Doppler meter. This is a device that stays outside the water, so it does not deal with some of the issues associated with erosion and electronics wear and tear. We have had solid success with it on a few sites. The only complicating factor is that the water has to be dirty for the Doppler to see it; at one district, the water was actually too pure, which may be hard to believe here in California. The third day, we switch over to the operations aspects of pipelines and canals and talk about how water district personnel move water around the system—how things used to be done, and how things can be modernized and automated. We talk about basics like using flashboards that are taken in and out by hand and then we go all the way into the advanced topics, like using computers to model entire canal systems and using programmable-logic controllers to automatically move gates up and down. On each of these days, we do basic training at the beginning of the day and then end it by giving the participants an idea of what is coming down the line in the future. We also offer a Designer/Manager School of Irrigation for agricultural- and landscape-irrigation professionals. It gives people in the industry the opportunity to get the latest information about new technologies and techniques and to get hands-on experience with the equipment at our facilities. We are also working on merging onsite training with online classes that participants can take at any time from home. Our online landscape classes are offered year-round and can be taken for continuing education credit through the Irrigation Association. We find that both Cal Poly students and irrigation professionals appreciate the variety of different training programs that we have. 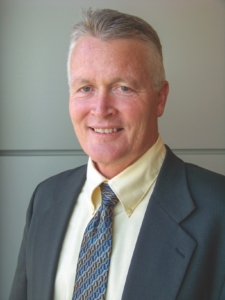 Stuart Styles is the director of the Irrigation Training and Research Center at Cal Poly, San Luis Obispo. He can be reached at sstyles@calpoly.edu.